This was my 3rd century ride. It was the second for my colleague Matt and first for our friend Ken. 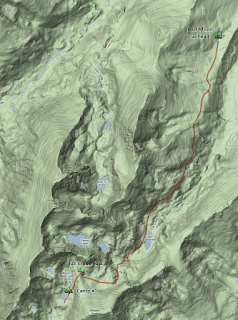 We planned this hike as a means of working out together once before our June trip to Yosemite. We'd all three been working out on our own and knew we were in great shape for the long haul today. We left from the house in Lombard at 6:05am. We were pleased to find that the weather forecast was clear skies all day. The temps would stay cool for us as well. They were in the upper 40s when we left so we double-layered on the top with gloves when we left. Traffic was non-existent so we made quick work to the Great Western Trail. We were curious with all the recent rain how this dirt gravel trail would look. We hit only a few puddles and a random soft spot but otherwise it was great for riding. 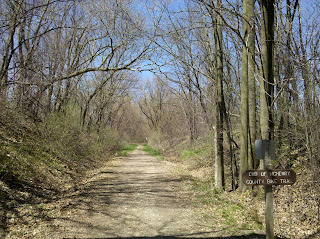 The Great Western trail section is about 12 miles in length and we left it at the junction with the Illinois Prairie Path. 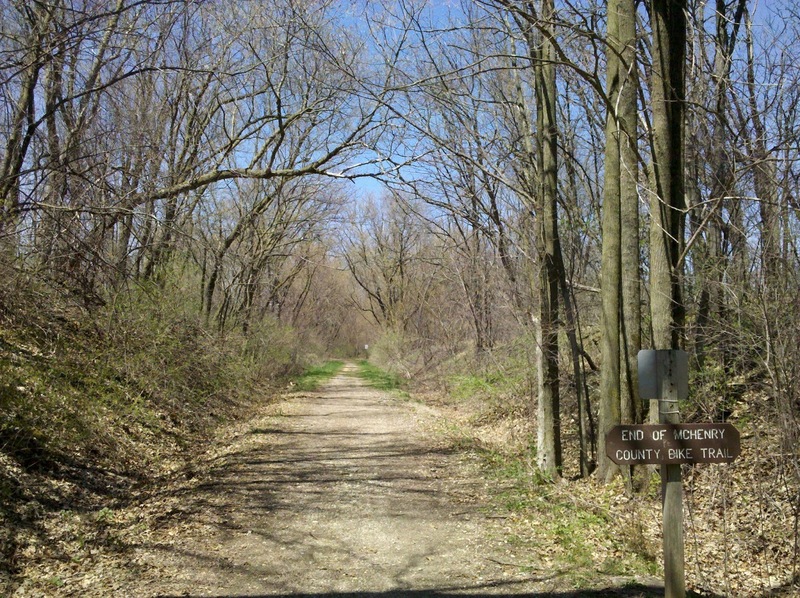 That goes for 9 miles along the Elgin Branch to the Fox River in Elgin. The last mile or two are paved finally. The paved trail lasts for the next 30 miles or so until you hit Ringwood, I'LL, north of McHenry. 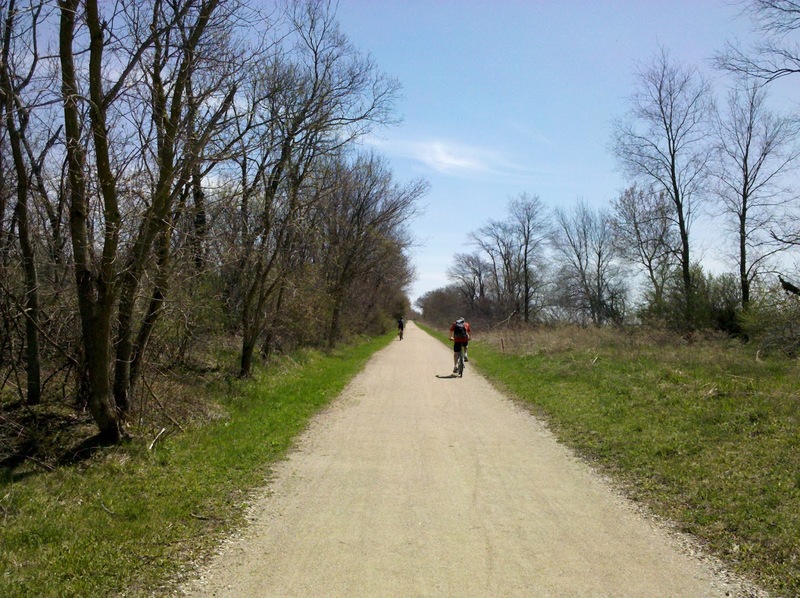 From there the last 8 miles of the Prairie Trail to Wisconsin is unpaved again. 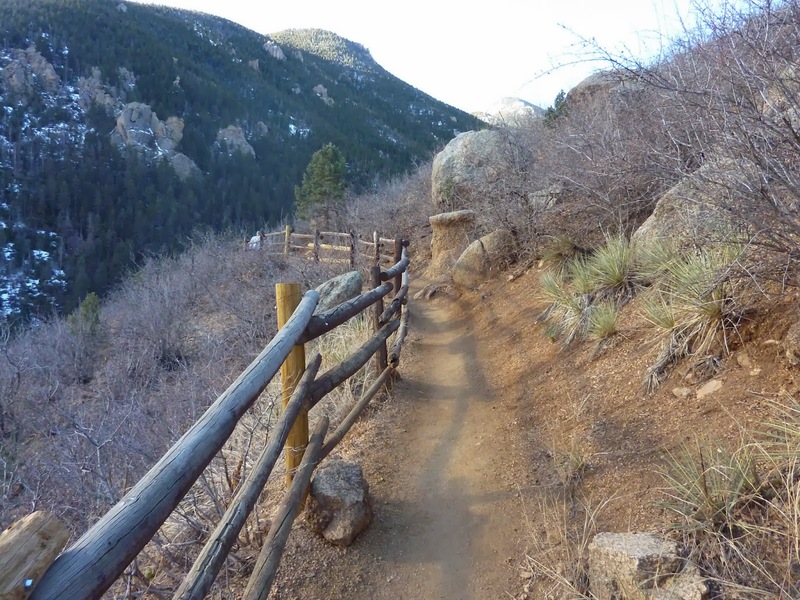 The last several hundred feet, especially after the Hebron trail leaves, are especially rough. We hit the Wisconsin border at about 12:50pm. We only spent a few mins there and then went back to Richmond to hit the Subway and then the gas station south of the Subway. It was almost 1:50pm when we left Richmond. We stopped at two more gas stations on the return to refuel our powerade supplies. The big story of our return trip was the ailing bodies. Ken and I were both dealing with knee soreness. Mine hurt while I was pedaling, but if I dismounted and walked it felt fine. I also had lower back pain. My mountain bike has such low handlebars that I hunch over so far. This kept pushing my lower back into the firm backing of my daypack. And of course our seats were hurting as well. Even with a new memory-foam seat cover I was hurting. Matt tried out his Vibram five-finger shoes on this hike and was pleased with the feel. Only problem was they didn't help keep the toes warm first thing in the morning. We arrived at the house at 7:45pm. It was post-sunset but we still had enough visibility to see. We were exhausted and in pain but still decided we needed good food, so we headed over to Portillo's to replenish calories.